Are you downsizing? Do you want to live in a peaceful, convenient location with awesome neighbors? THIS IS THE PLACE FOR YOU! Mirabelle is a conveniently located subdivision with neighbors who look out for each other. 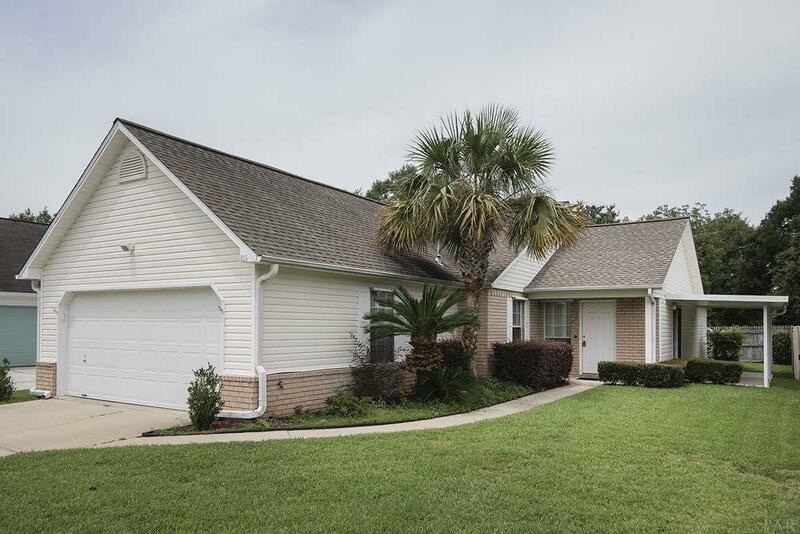 This 3 bedroom, 2 bath home has large greatroom and dining room. Kitchen is equipped with electric range, dishwasher and refrigerator and Room for cozy table for 2. Master bedroom has large walk in closet. Master bath has garden tub and separate shower and double vanities. Laundry room - 10 5.8 has a spacious pantry included. Garage is oversized, with deep sink and pull down steps and hurricane brace for garage door. Home has Hurricane shutters. Covered patio on side is accessible through glass doors in great room. Green yard is kept that way with sprinkler system. Being sold "as is". Buyer will want to add personal touches in decorating. Call today for your tour!